Give Those Milsurp Classics A Sporting Chance! Bob’s Army-built National Match .45 wears an Army-issued Colt NM “hard slide” on a WW II Ithaca 1911A1 frame. Not collectible, but a superb shooter. The most fun I’ve had shooting lately has been working with and shooting older surplus military handguns. These “issue” pistols usually have tiny sights, heavy triggers and reliability issues with anything other than FMJ RN ammo. Forty years ago they might have been candidates for better sights, refinishing and some trigger work. But with all the choices available today in current models, why go to such lengths? Early commercial Lugers like this DWM 7.65mm tend to be less expensive than a comparable-condition military-contract gun. But shooting these vintage warhorses “as-is” — or close to it — can be its own reward. Lots of interesting specimens are on the market — a finish-challenged Israeli police Browning Hi-Power or a Walther P-38/P1 could be just the ticket for an afternoon at the range. Working on your marksmanship with a handgun Audie Murphy would recognize can take your skill to the next level while giving you an appreciation for what pistol shooting was like “back in the day.” Handguns were fired one-handed and targets were NRA-type bullseyes at 25 and 50 yards. That’s tough with any handgun. Meeting the challenge of shooting a good group with a stock service pistol is something to aspire to. In looking for a surplus range gun, the idea is to keep the cost down, so buy something in a common caliber — strange ones won’t work for a “shooter.” If you can’t find ammo at Walmart or Cabela’s, you won’t be shooting too often. Of course, if you reload, not a problem — if you can find proper bullets and cases. This WWII P-38 is a contract Mauser built in 1943. It would be a fine shooter except it’s all-matched and very collectible. A better range choice would be a postwar aluminum-framed Walther P1. I had the opportunity a while back to borrow an 8mm Japanese Type 14 Nambu … interesting, but it was almost impossible to locate ammo. Luckily it came with about 40 rounds of mixed, remanufactured ammunition (I confess to shooting most of it up before returning the gun). In between malfunctions (the trigger group kept coming apart), the Nambu was actually quite accurate, after I figured out that it shot about 18" high at 15 yards. I was finally able to get one good target completed without any hiccups. Probably not my first pick as a range partner (or combat pistol) though. Many collector-grade pistols (original finish and all-matched parts) from any era are getting very scarce. If you break something, which is possible with pistols approaching the century mark, you might end up with a high-priced paperweight. Refinished, rebuilt surplus pistols make much cheaper and better shooters. Replacing a few parts after purchase or doing a Cerakote refinish isn’t expensive, personalizes your purchase and will enhance its effectiveness. Among my 1911’s are a pair of GI guns that have been rebuilt and refinished … definitely not collector-grade material. One is a 1943-vintage Colt wearing a postwar “hard slide” and a newer GI chrome-lined barrel. It groups very well at 20 yards and functions flawlessly with ball ammo. I’m using it now in the CMP .45 combat matches. The other is a National Match gun, built by the AMU (Army Marksmanship Unit), probably for a pistol team member as a personal match gun. It’ll group into 3" from a machine rest at 50 yards with 230-gr. match ball. It’s not what an accumulator of unmodified 1911’s would want, but it’s exactly what I like. It was purpose-built to shoot small groups in competition and it’s still doing so today. Bob’s favorite Browning Hi-Power is an Israeli police trade-in that was finish-challenged. The magazine safety was removed, improving the trigger, and the rear sight notch was opened up for a better sight picture. Several years ago Israel released a bunch of Browning Hi-Powers onto the American market. Some were in sad shape, but many others were in “carried much but shot little” condition, usually with replacement slides, hammers or barrels and painted-on finishes. I got one — a 1967 T-series with a minty bore, all-matched parts, but hardly any finish remaining. It also had some minor pitting from storage. I opened up the rear sight notch and removed the magazine safety, which really improved the trigger. I also ordered a replacement drop-in Remsport barrel to see if I could squeeze any more accuracy out of it. Then I had it Parkerized. Lots of those surplus Brownings are still around, usually at pretty good prices. You can go completely stock, do some minor mods or go all the way to full custom. It’s all about what you want and what your pocketbook can tolerate. There are lots of aftermarket parts for the Hi-Power and many excellent gunsmiths that specialize in working on them. I’ve owned a couple dozen Hi-Powers over the years and still have a few in my safe. I’ve never owned one that wasn’t reliable or accurate. Not match-gun accurate, but good enough to shoot 2" to 3" groups with most ammo at 25 yards. Some guns will do better. With the extra stainless barrel I bought and the minor mods I’ve made to my surplus gun, it’s become my go-to Browning. It’s not a target gun, but it’ll easily hold sub-2" groups at 25 yards with Atlanta Arms 115-gr. match ball. It’s what the AMU uses in the match-conditioned Beretta 92s. BHPs aren’t really finicky, but quality commercial ammo — along with a good, unpitted barrel — will make for an accurate pistol. Left: Group fired at 20 yards with Bob’s GI Colt 1911A1. Replacing original parts preserves the older parts and prevents damage. Middle: This nice group was shot with a 1974-vintage Hi-Power at 15 yards. Most Brownings will group very well if fed good commercial-grade ammo. Right: Bob’s rebuilt Swiss 7.65mm and an offhand group shot at 20 yards. Lugers usually have terrible triggers, tiny sights and reliability issues, but are tons of fun when they work. Honorable mention goes to Walther (both the P38/P1 and the PP/PPK series) and the grand old Luger. Both have issues that might preclude being a first choice as a frequent shooter, but they can be fun nonetheless. The wartime Walthers, if in good shape, are becoming expensive and very popular with collectors. Best to leave them home as pieces of history that can’t be replaced. The later, post-war guns are another story. Walther improved and reinforced the slides on the P1s to solve the cracking issue. Plus, the postwar guns usually have better triggers. Good buys are still out there on almost-new surplus P1s, sometimes with a flap holster thrown in. Most Walther 9mms want to shoot high at 15 to 25 yards, but a 6 o’clock hold and a lighter weight bullet (try 115 grain) should cure this. The P1s are great range pistols and fun to shoot. My most cherished Walther is a postwar West German PP in .22 Long Rifle. Beautifully made, it’ll group Remington HV and CCI Mini-Mags to point of aim at 15 yards. I had a custom flap holster made and now carry it on my pig hunting expeditions to South Texas. It’s a great jackrabbit pistol when the hogs aren’t cooperating. I’ve had a couple of PPs in .32 and .380, but ammo is expensive and recoil can be sharp in the little .380’s. Rimfires are inexpensive, work reliably and kill jacks and gophers with one well-placed shot. Last on my short list is the Luger. It’s a sentimental favorite and fun to shoot, but a nice one can be frightfully expensive. I found a decent “parts gun” awhile back that originally was a Swiss Bern Arsenal that was converted long ago to 9mm. I rebuilt it with new Swiss parts I found on a Luger forum. The left-over parts were sold, making my purchase economically feasible. It’s now a 7.65mm (.30 Luger) and is an awesome shooter. It’ll group into just over 1" at 20 yards, using some older Winchester ammo I found at a gun show. Finding 7.65mm ammo can be a pain, though. It’s not commonly available and can be expensive when you find it. Best to stick to a 9mm P-08 if possible. Lots of other good surplus guns are out there … CZ 75’s and Makarovs are excellent, tough pistols that will serve you well on a Saturday afternoon at the range. And they’re relatively inexpensive, with 9x19 and 9x18 ammo easy to locate. I’ll be picking up one of each in the near future. At top is a National Match built on an Ithaca 1911A1 frame and a Colt NM hard slide. At bottom is a Colt 1911A1 with a replacement GI Colt hard slide. The institutional memory on many of the older weapons is long gone, so it’s up to you to do the research on your chosen surplus oldie — maintenance, fieldstripping etc. Before any purchase, do your homework. And that can be the fun part. Most every service-type pistol you find will have an Internet forum dedicated to everything regarding that particular pistol. Study the good and bad points of your new prospective handgun. You might change your mind after some research. So it’s best to do it before buying. Something to remember with most all the old-timers is steel wasn’t what it is now. 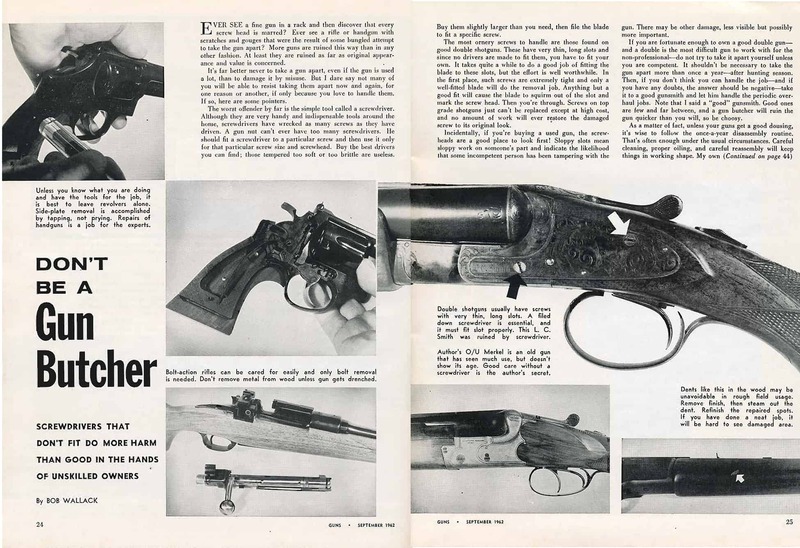 Duty handguns back then weren’t expected to withstand constant shooting like today’s handguns. On 1911’s, slides weren’t completely hardened until just after WWII and WWI-era slides weren’t hardened at all. Crack a serial numbered slide on an early WWII Colt 1911A1 and you’ve ruined a piece of history. What I like to do when I shoot my GI .45’s is install a later, issue replacement slide that’s fully hardened and can take the pounding of 230-gr. ball. Changing the recoil spring with a new 16-lb. spring is also a good idea. Browning High Powers should be fired only with standard, commercial 9mm ammo … no +P or +P+ stuff. The later Portuguese cast frames are stronger, but the forged frames are more common on the used market. Same goes for Lugers and P38’s. Hot ammo, besides being more expensive, will drastically shorten the life of your military pistol. P38’s can suffer a cracked slide with +P ammo. Remember, your old-timer is a range gun — it doesn’t take much to kill a paper target. Use jacketed ball ammo in your pistol; it’s what it was built for. It’s also cheaper than most premium JHP stuff. And ball ammo will keep the malfunctions and stoppages to a minimum.